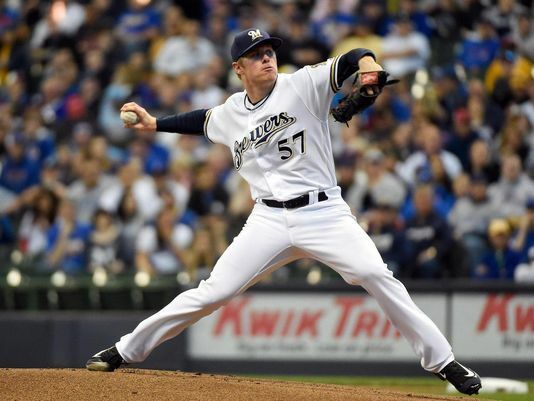 Milwaukee Brewers pitcher Chase Anderson flirted with a no-hitter versus the Chicago Cubs at Miller Park on Tuesday. Anderson, a former South Bend Silver Hawks hurler, shut down Major League Baseball’s best offense for most of the game, not giving up a hit until Ben Zobrist’s leadoff double in the 8th. He got the win, but lost the shutout when he gave up back-to-back homers to Jason Heyward and Kris Bryant with two outs in the 9th inning. He finished with this line: 8.2 IP, 3 H, 2 ER, 1 BB, 6 K.
Not bad for a guy who entered the game with a 6.11 ERA for the season. His ERA is now 5.81 after eight starts. Anderson made seven starts for the 2010 Silver Hawks, who were an Arizona Diamondbacks affiliate at that time. He went 2-4 with a 2.82 ERA, one shutout, 31 strikeouts and nine walks in 38.1 innings. Jonathan Lucroy homered for the Brewers. He made four rehab appearances with the Wisconsin Timber Rattlers in 2012, going 4-for-12 with a walk, a double, two RBI and a stolen base. Lucroy’s brother David currently pitches for the Timber Rattlers. He is 1-2 with a 4.20 ERA, one save, 14 strikeouts and 14 walks in eight appearances (15 innings). Toronto Blue Jays prospect Francisco Rios dominated the Fort Myers Miracle in the Florida State League on Tuesday. The Dunedin Blue Jays right-hander struck out six and allowed only two hits in seven scoreless innings. Rios started the season in the Midwest League, where he went 2-0 with a 1.20 ERA, 43 strikeouts and eight walks in 30 innings (six starts) for the Lansing Lugnuts. 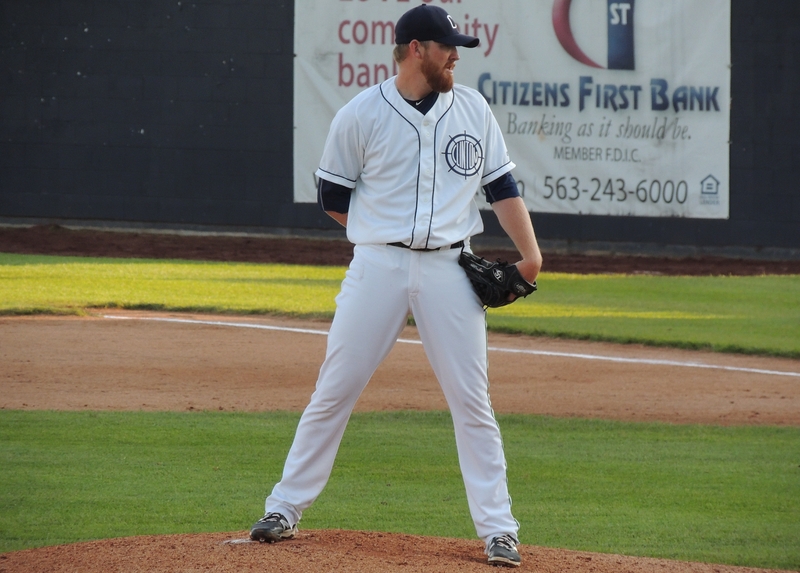 Clinton LumberKings RHP Zack Littell struck out eight, walked one and gave up five hits in 7.2 scoreless innings against the Quad Cities River Bandits on Tuesday. Clinton won the game 6-0. The Seattle Mariners prospect is now 2-4 with a 3.78 ERA, 40 strikeouts and 12 walks in 47.2 innings (eight starts) this season. This entry was posted in Clinton LumberKings, Dunedin Blue Jays, Florida State League, Fort Myers Miracle, Lansing Lugnuts, Midwest League, Quad Cities River Bandits, South Bend Silver Hawks, Wisconsin Timber Rattlers. Bookmark the permalink.